Owning a car comes with many conveniences for most Singaporeans. Vehicles enable us to move with ease and carry who and what we want. For this convenience to be fully enjoyed, it is very important to ensure that the car is in its right condition. No one wants to deal with breakdowns in the middle of the journey. 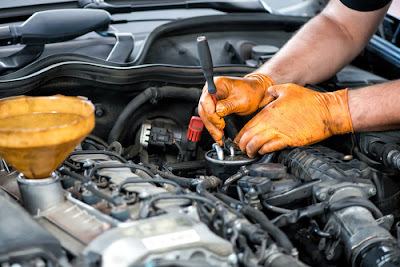 85 percent of the time, technicians deal with common car problems to ensure that you are on the road, the other 15% is something you can do on your own if you have the proper knowledge. Here are nine problems you should ensure are always fixed to keep your car in good health. 1. Brake repairs and adjustments. For the most part, a car needs a new set of brakes at every 40,000 miles of driving. Before this is done, it is important to have routine checks of the discs, pads and drums every now and then. Brakes should be properly adjusted and balanced to ensure driver safety. Any worn out part should be replaced to prevent it from wearing out the other parts. The brake fluid levels should be okay at all times. Check for burst brake pipes and get them replaced whenever necessary. 2. Oil changes. This is very important for the well-being of the engine. Old engine or transmission oil exposes the moving components to damage. This is very risky as it may cause the car engine to knock. It also reduces the engine life and ultimately that of the car. 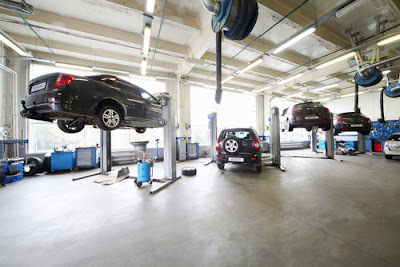 When doing the oil changes, ensure that the auto shops change the oil filters, top up transmission and differential oils and ensure the air cleaners are dust free. Always keep a tag or reminder in the vehicle for when the next oil change is due, this is usually recorded as mileage. The dipstick under your hood should always tell you if the oil levels are okay. Check it every morning before you start the vehicle. 3. Oil leaks. Oily patches on the drive way or garage floor should raise your concern. They are indicators of leaking components on your car. Get those checked out and repaired at your favorite auto shop before the damage is too big. Ensure that the oil is topped up to the right amount, just in case the levels are below what is normal. Always drive carefully to avoid the car from being hit from below. 4. Tire repairs and replacements. Tires are a very important component on the vehicle. Proper tires mean better control of the vehicle. Good tires ensure that the car’s fuel consumption is good. Worn out tires pose a danger to the driver and other road users. It is important that all tires are well aligned to ensure proper control. 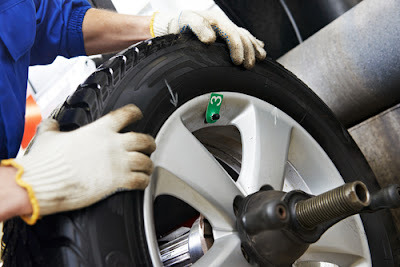 Repair punctured tires and replace busted ones as soon as possible. To get most out of your tires, rotate them around the vehicle from time to time. Tire pressure should always be at recommended units. Carry a spare tire at all times. When doing tire repairs, remember to ensure that your car jack is functioning properly and that you have the wheel spanner in the vehicle. 5. Battery repairs. Nothing is as frustrating as a car that won’t start. 95% of the time, this happens because of the battery. There is a timeline before a car battery can be replaced. This is normally five to six years of use. To get the most out of the battery, make sure that the terminals are okay. Insulate any live wires that may cause a shot in the electric system. The battery acid levels should always be checked and battery acid or water added where necessary. Proper clamping of the battery reduced vibrations that may damage the battery cells. Always have a pair of jumpers just in case your battery won’t start. 6. Fuel systems. Cars stall many a times because of failure in the fuel systems. The problem could be anywhere from the fuel pump to the filters or pipes. The pump should be unclogged and the filters changed regularly. The pipes should be checked for leaks to prevent fires and wastage. Always do a routine tank clean up to remove residue. Having more than a quarter tank of gas will prevent the pumps from getting clogged. Always use clean gas, avoid filling up where the gas can be mixed with something else for more profits. 7. Cooling system repairs. A car cooling system should be well maintained for proper engine maintenance. The radiator should be checked for leaks. Blowing the radiator with high pressure water should remove soil, insects and such other debris that gets in the way of proper air intake. Flush out coolants and replace them as often as possible. Ensure water levels are okay every day before driving off. 8. Electrical system. Most of this can be fixed by simple replacement. Fuses and lamp bulbs that are blown can be replaced with the extras that come with most vehicles. There are some components that need the attention of the professionals at the auto shops. Spark plugs are a common problem. Get these checked and replaced regularly. Your auto shop should check windows, mirrors, heaters, coolers, and the air con for any malfunction. Live wires should be checked and either insulated with duct tape or replaced all together. Avoid starting the vehicle when the electrical components like the radio are on. 9. Transmission system repairs. Transmission repairs are mostly the don’t-do-it-yourself type. This is because they are technical and expensive. You may need bearings and the clutch plate replaced from every now and then. Usually, the oil levels should be checked and topped up to the right amount. Most of the common repairs are do it yourself projects. Ensure you have the proper tools and equipment, and that you have proper knowledge before doing any repairs. Always hire a professional to carry out the more technical ones. Give attention to the vehicle, always looking out for anything unusual. A regular diagnosis of the car will ensure you arrest any problem before it becomes a money robber. Get tips from other car users and your auto shop concerning the common repairs. This will always prepare you for anything.